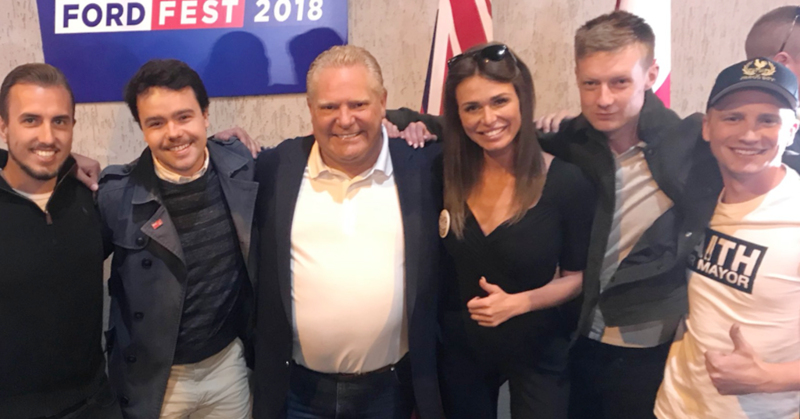 Doug Ford Just Cancelled Ontario’s Minimum Wage Increase. Low-Wage Workers Are Out $2,000 Per Year. 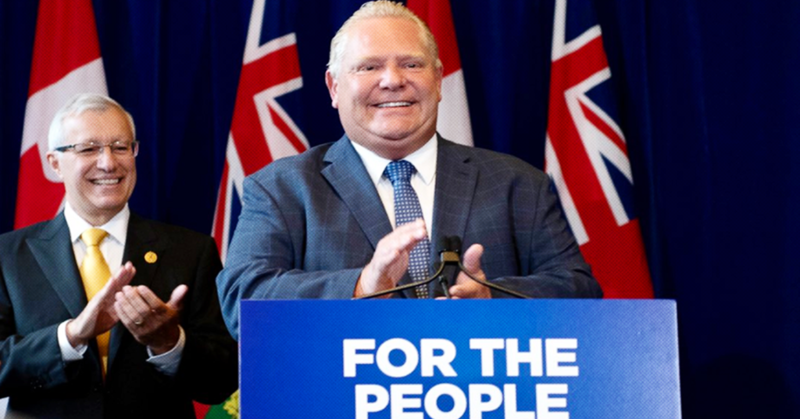 Ontario Premier Doug Ford’s government has announced it is cancelling the province’s planned minimum wage increase to $15 per hour. During a press conference Wednesday, Ford’s Labour Minister Laurie Scott was asked directly by reporters what a minimum wage employee in Ontario will earn as of January 1, 2019. “The minimum wage is going to be paused at $14 an hour,” Scott said. 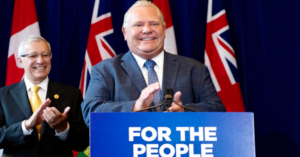 Ford’s move to scrap the minimum wage increase means Ontario’s low-wage workers will see nearly two thousand dollars less in their pockets ($1,899) next year than they would have had the $15 minimum wage increase gone through as planned. Scott attempted to argue that scrapping the minimum wage raise would be offset by a tax credit aimed at low-wage workers, although Scott could not say when the tax credit would actually be rolled out. However, economists point out Ford’s tax credit, if it ever happens, actually leave low-wage workers with a one thousand dollar hole in their pockets. According to an analysis by economist Sheila Block, Ford’s tax credit would only save low-wage workers $817 a year, which does not come close to offsetting the loss of $1,899 raise by clawing back the minimum wage. 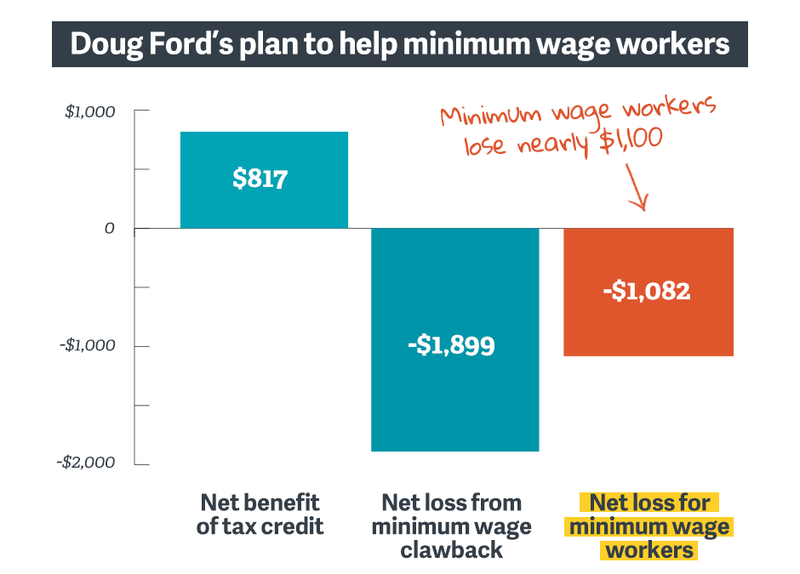 In other words, even if Ford balances out the minimum wage cut with a tax credit, low-wage workers still lose out a staggering $1,082 per year.